Want to schedule an interview or speaking appearance with Bill Green? Author Bill Green has announced an unprecedented charity offer for the Alzheimer’s Foundation of America: one hundred percent of his new book’s royalties will be donated to the organization for a disease that has personally affected Bill’s own family. 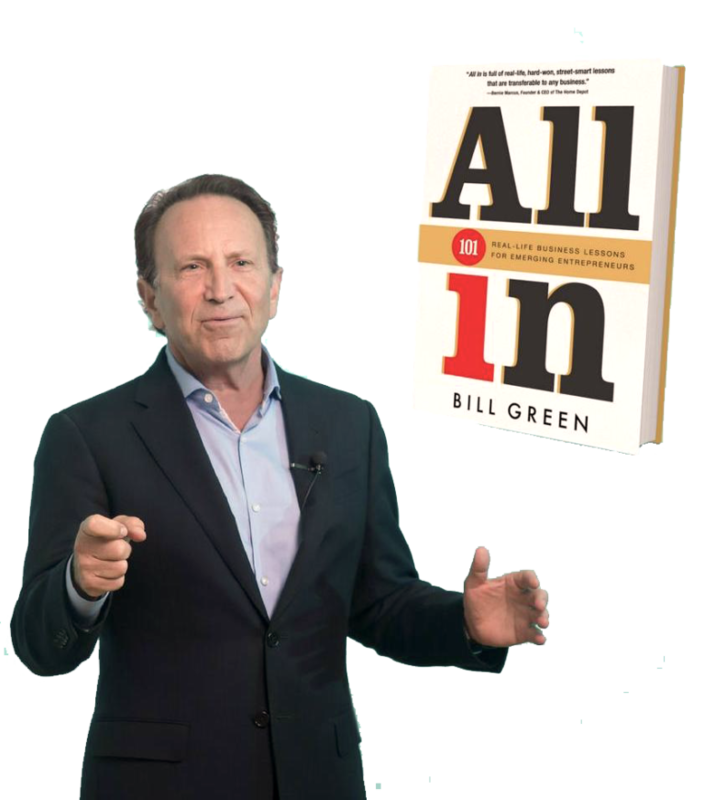 In All In: 101 Real Life Business Lessons for Emerging Entrepreneurs, Bill Green uses his own impressive business achievements (and his few fiascos) to provide the reader with the practical tools needed to launch that Big Idea or improve their existing business. In his own unique, humorous, and impassioned style, Bill explains, step by step, what it took to leverage his flea market business into a small hardware store, and then morph that store into Interline Brands, a distribution empire. “I want to inspire entrepreneurs of all ages and levels of experience to take up the challenge of a small business with passion and joy.” He leads his readers, using his own life experiences as examples, through all the steps necessary to transform that Big Idea into a successful and fulfilling business—and beyond. Already being touted by entrepreneurs and entrepreneurial professors alike, All In will delight anyone who owns their own business, or wants to!